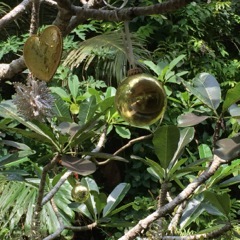 Our Balinese team and our international volunteers from France, Spain, Japan, Austria and Germany decorated our Christmas tree. 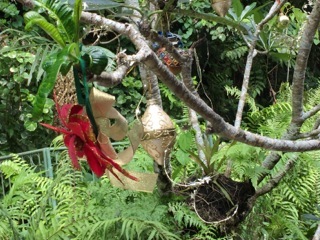 We are hanging some lovely ornaments on the Frangipani tree at the entrance of the dining area. 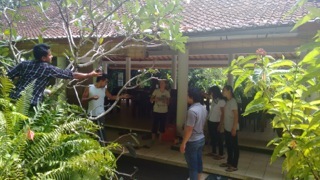 We hope the strong rains will leave our beautiful decorations hanging :) Merry Christmas!